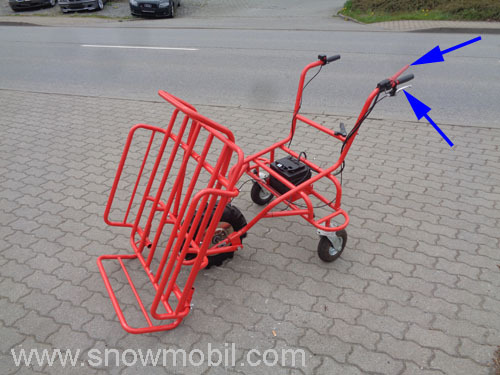 The electric pushbar ED140W has a loading rack ED140L. 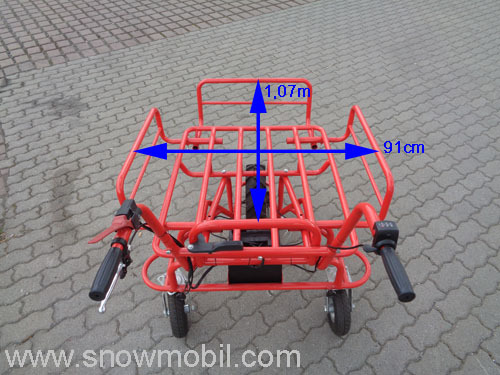 The ED140L is designed for the upscale use for house, yard and garden. 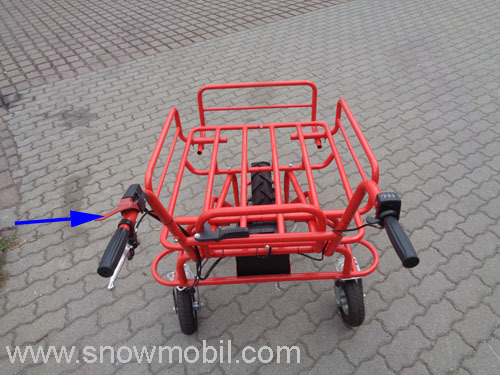 The electric wheel hub motor comes from the electric motor sector. 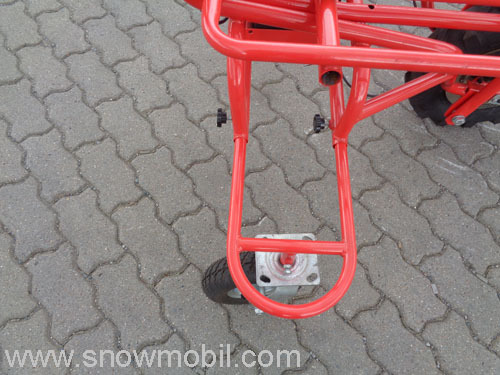 The wheel hub motor is designed for a much longer running time. 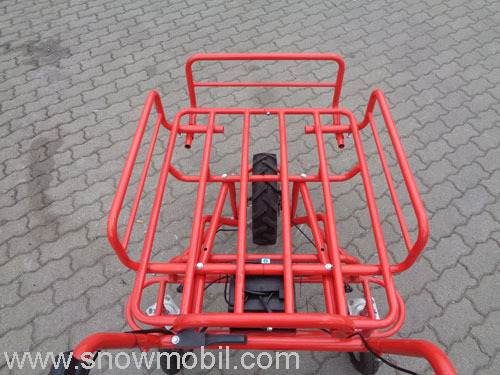 The pneumatic tires are fully swivel-mounted and ball-bearing. 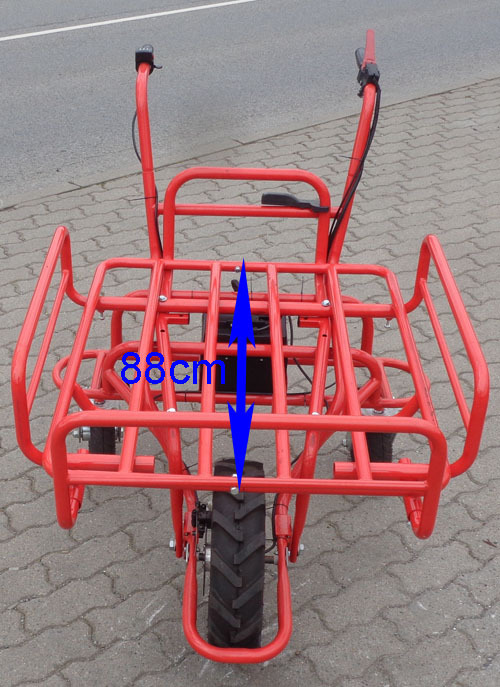 The rear wheels were chosen extra wide to achieve a higher bearing surface of the tire. 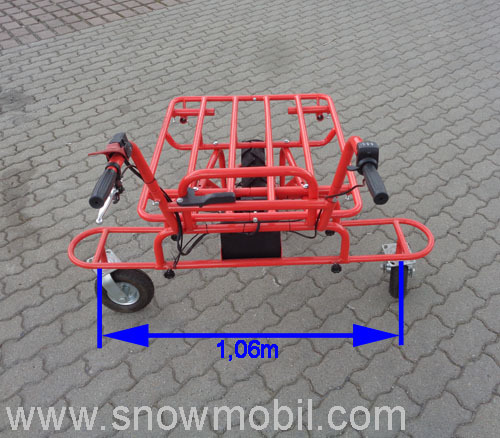 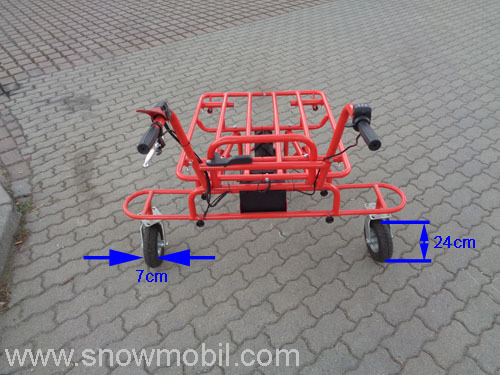 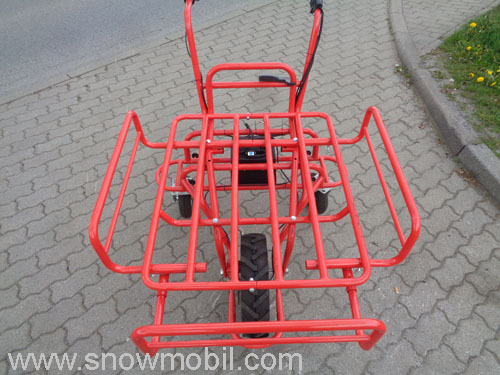 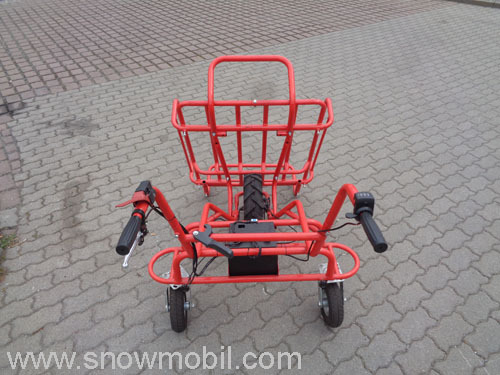 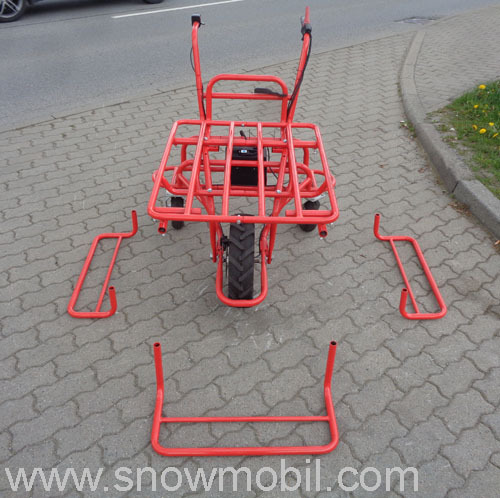 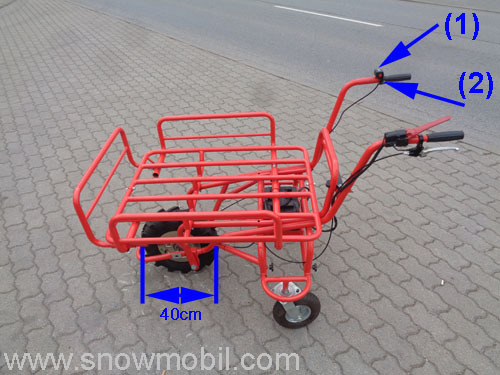 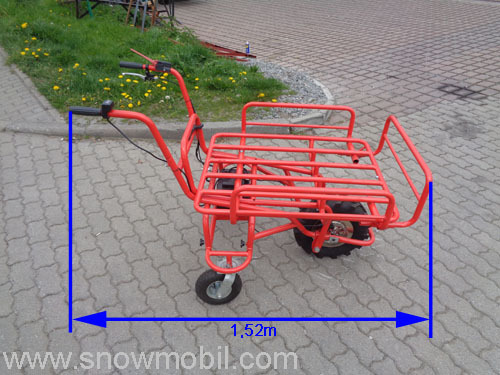 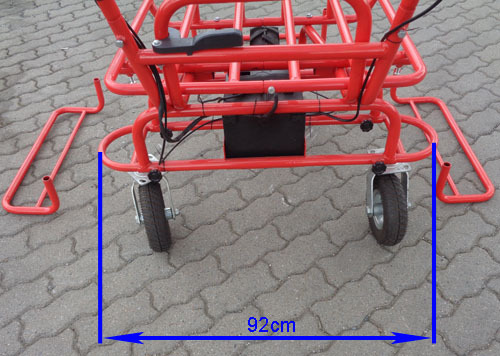 With a wheel spacing of 70 cm it is almost impossible that the cart can tip over sideways. 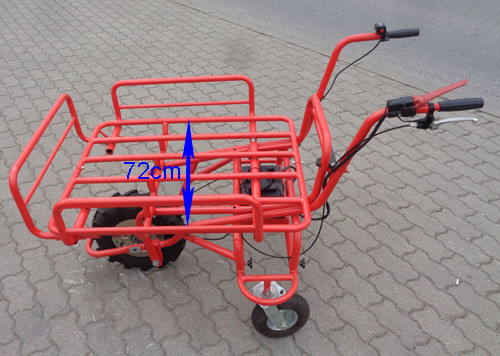 The front wheel is in the 4.80-8 horse-stud race for good grip. 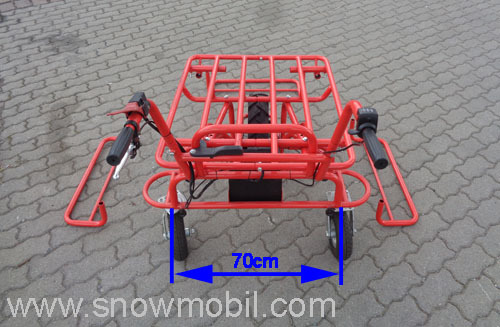 - The charger is included as standard!